A funeral parlor in a small Midwestern town is the setting for these three darkly funny and touching short plays. In Tell Tale, we enter the private thoughts of a respectable married mortician, lost in passion for a beautiful real estate broker who markets to the bereaved. In Thief of Tears, we meet Mac, the attractive daughter of an upper-class WASP family who frequents the Viper Room and steals jewelry from corpses. And in Thirteen Things about Ed Carpolotti, a newly widowed suburban matron finds her world crashing about her – only to be rescued by love from beyond the grave. 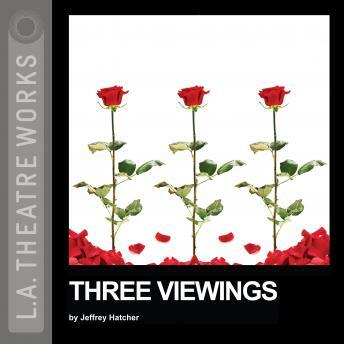 An L.A. Theatre Works full-cast performance featuring Bruce Davison, Laura San Giacomo and Rue McClanahan.